Know your email marketing statistics? When it comes to reporting, email marketers need to know their numbers. Perhaps you can probably rattle off open-rates, click-through rates, and ROI stats at the drop of a hat. While it may be annoying to get asked over and over to report on results, justify costs, and show the value of your campaigns, it’s also probably a bit fun. Why? Because when email marketing is done correctly, it’s the top way to get the highest ROI for your marketing dollars. Recent studies show email marketing can yield a 4400% ROI and $44 for every $1 spent. As an email marketer, you get to brag year after year that email marketing is continually the most effective digital marketing strategy. It outranks SEO, PPC, social media, and content marketing by a long shot. But, email marketing is more than a conversion machine. It also affects other important facets of your business. It helps guide the customer journey, which everyone knows is a winning bet. It promotes brand awareness in creative ways that customers adore. It creates the personalized experiences your customers need from your brand. You can leverage customer data to craft customized content for different subscriber groups. You can send emails at the most convenient times for your target audience. You can optimize your messages for both desktop and mobile viewing. You can stay in tune with your customers’ needs and deliver content they want. The true ROI of email marketing. The effect of mobile email marketing. 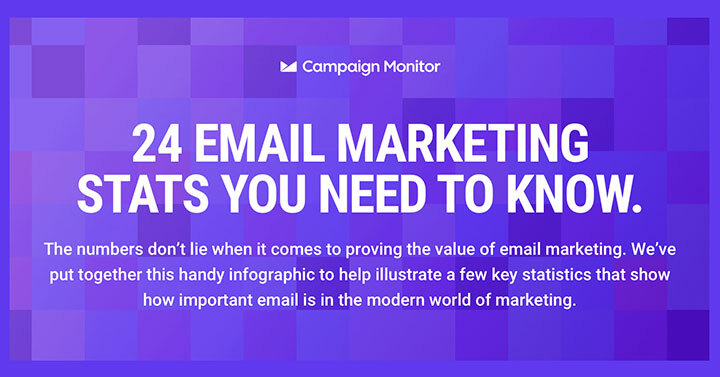 Enjoy these email marketing statistics, and pin the infographic. These are helpful statistics to know. I was just on another blog where the topic was if chatbots are going to take over email marketing in the future. My response that I don’t believe that would ever happen. I think email marketing is such a personal tool that we all appreciate – no matter how old the tool is. It’s like your mailbox but online, right. Thank you for sharing these statistic, very helpful to know! Email marketing is a powerful way to turn leads into customers and customers into loyal brand evangelists. This seems to me the right definition of Email Marketing. Thanks a lot for sharing great statistics for a successful Email Marketing. I got some so important tips from your post. I do hope it will help me a lot. For good ROI, Email marketing is so powerful digital marketing strategy. For this reason, I love email marketing very much. I think Investing in email marketing is sure worth it — as long as you do it right. What’s yours?